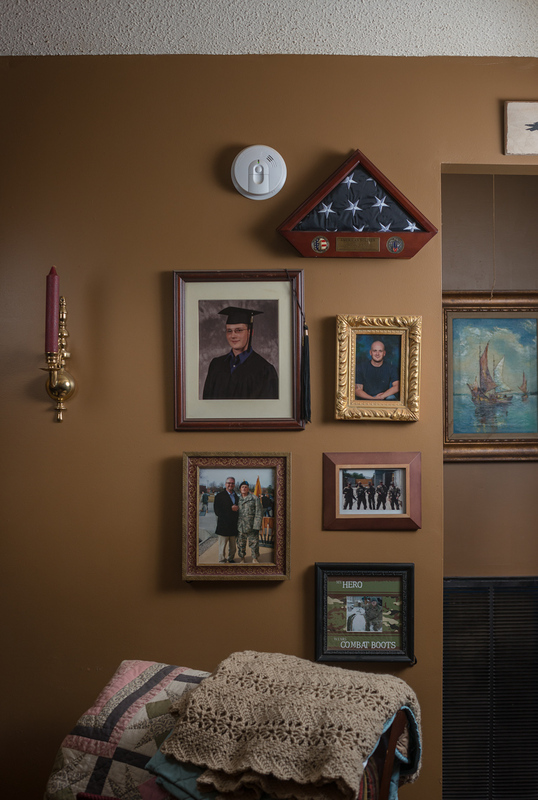 Photos of veteran and suicide victim, Former Sgt. John Toombs, displayed at the home of his father David Toombs in Murfreesboro, Tennessee. Sgt. Toombs served six years with the Army National Guard, with part of 2011 and 2012 in Afghanistan.